The beloved landmark tale of a Meiji-era swordsman's quest for redemption. Action, romance and historical intrigue help make Nobuhiro Watsuki's Rurouni Kenshin, the tale of a wandering swordsman set against the backdrop of the Meiji Restoration, one of the most popular manga titles of all time! FINAL VOLUME! 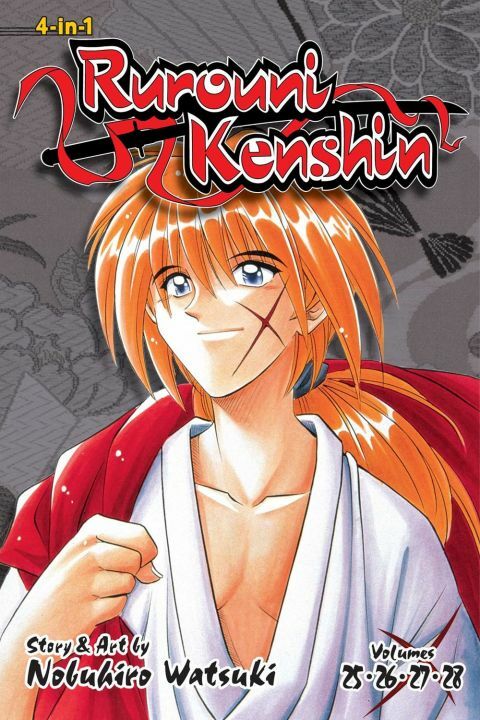 Felled by grief, Kenshin is powerless to stop Enishi's conquest of Tokyo. His friends struggle to fill in, with Yahiko taking on the criminal powerhouse Kujiranami and Sanosuke defending the city from yakuza. But without Kenshin, the dream of a new Japan founded on peace will never be realized. In the misery of the Fallen Village, Kenshin must somehow find hope...and lift his sakabato for the final time! Other products for "Rurouni Kenshin" in "Books"
Other products for "Rurouni Kenshin" in "Accessories"
Other products for "Rurouni Kenshin" in "Blu-Ray"
Other products for "Rurouni Kenshin" in "Character Goods"
Other products for "Rurouni Kenshin" in "DVDs"